Designed in the 1930s by Paul J. Kordes, Hevi-Haul Skates were the first roller dollies available for professional rigging companies and machinery movers. Respected for their quality, ruggedness, and minimal maintenance, our skates continue to be the preferred industrial brand in material handling, structural moving industries, and beyond. Trusted by local machinery movers to the branches of the U.S. Military and large multi-national corporations, our heavy duty skates can help make your heaviest machinery, material loads, and large structures much easier to move. We continue to manufacture high quality, fully welded steel frame skates that are built to last, using the best processes, materials, and technology available. We’re agile enough to modify our existing production models to create one of a kind roller dollies to meet the exact specification of your move. Along with our standard skates, we are also known worldwide as the go-to source of high quality, field functional custom load moving solutions. Custom and modified skates include, but are not limited to, guide roller systems for i-beams, bolt patterns permanent mounting, and pipe handling dollies. 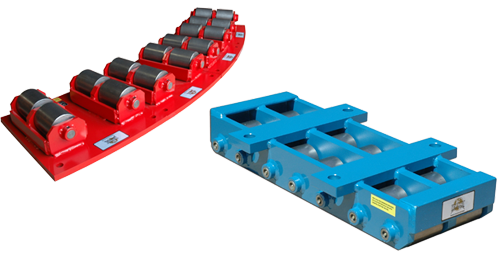 Hevi-Haul Skates were designed to move many types of heavy loads under a wide variety of conditions. Load configuration, load weight, pathway of move and floor condition are factors which help determine what skates will meet job requirements. Load configuration, physical size and shape, often dictate the number of support points required. This, combined with planned usage of skids and timers, will help to specify the quantity of skates needed. Have a positive moving experience with Hevi-Haul Skates! Utility Skates are the world’s most versatile machinery moving dollies on the market, ideal for both turning and straight line moving applications. Capacities range from 1.5 tons to 37.5 tons per skate, rolling on interchangeable steel or polyurethane coated rollers. Straight Line Skates are ideal for narrow, limited space moving and heavy duty straight line moving applications. 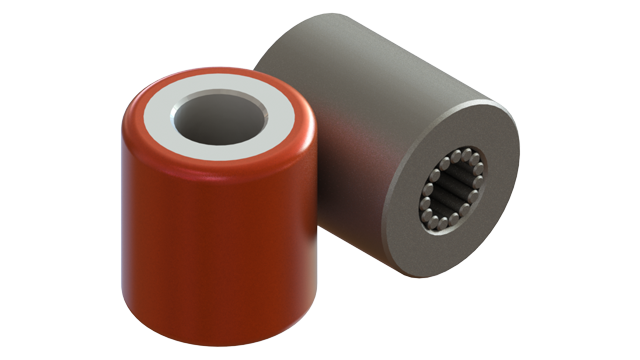 Capacities range from 2.5 tons to 100 tons per skate, rolling on interchangeable steel or polyurethane coated rollers. Compact Swivel Skates pack a lot of moving capacity in a small, low profile package. Perfect for light to medium duty loads requiring full directional control. Capacities range from 1.5 tons to 12.5 tons per skate, rolling on interchangeable steel or polyurethane coated rollers. Structural Mover Skates help make the complex and intricate task of moving and turning an existing home or building off of it’s original foundation easier for the structural mover so it can be transported to it’s new location. Capacities available from 6 tons to 100 tons per skate. Applications don’t always have an off the shelf solution. Whether it’s a slight modification of our standard skates or a completely unique design, we have the flexibility and experience to design custom fit solutions for our customers. See examples of our creativity and manufacturing capabilities with custom and modified roller dollies and machinery moving products by clicking below. Need a quote? Call or e-mail us today to speak with an Engineer. We can provide a detailed specification drawing and product renderings of any custom or modified product. With over 80 years of experience in custom roller dollies, we use our expertise and the latest in 3D CAD software and technology to design the best one of a kind rugged skates in a myriad of varieties. Whether it’s a modification to our standard skates or a custom solution, we will work directly with you through the design process to model a product that fits your requirements prior to production. We use high quality North American steel, CNC machined components, and fully welded steel frames for added strength and longevity for your toughest moves. Skate capacities from 1.5 to 150 tons each. 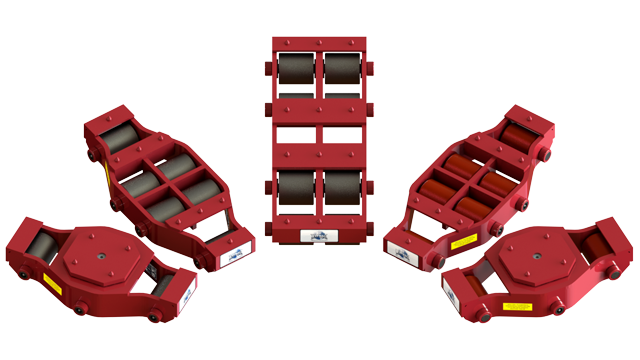 Hevi-Haul Skates require minimal maintenance. Rebuild and replacement parts are available for all of our standard skates to keep them rolling and operating at peak performance for all of your moves. If you have questions about your skates or have one of our custom skate products, call or e-mail us with your model number or serial number. Wondering how Hevi-Haul skates are used by our customers? Need help with parts or servicing your skates? Do you want to see some of our one of kind custom skates? You can see them in action, get helpful how-to videos, and find solutions to your workplace material handling challenges by viewing our product video gallery.